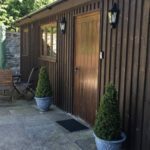 Respectfully converted from existing farm buildings, the Forest of Dean Lodges are the ideal base for couples, families, groups of friends, and also popular with extended families for reunions, etc. – even wedding parties. Set in a secluded rural location, our off- the-beaten-track accommodation is bordered by fields and woodland. Each lodge has its own unique qualities. A lovely spacious character barn conversion with natural stone walls, oak beams, heated flagstone floor throughout the ground floor. Oodles of charm and character dating from the 17th Century combined with the advantages of all modern conveniences, make this an ideal base for your exploration of the Forest of Dean and its surroundings. 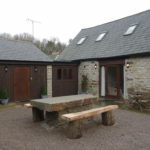 A lovely, comfortable, character barn conversion. With natural stone walls, oak beams, heated flagstone floors throughout the ground floor. Oodles of charm and character dating from the 17th Century combined with the advantages of all modern conveniences, make this an ideal base for your exploration of the Forest of Dean and its surroundings. 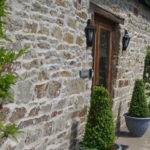 A lovely, comfortable, character barn conversion. With natural stone walls, oak beams, heated flagstone floors throughout – all at ground level. Oodles of charm and character dating from the 17th Century combined with the advantages of all modern conveniences, make this an ideal base to explore the Forest of Dean and the surrounding area. Worcester Lodge is grade 2 listed and one of the most historical buildings in the Forest of Dean, set within private grounds in the Royal Forest of Dean, nestled amongst peaceful surroundings, near the town of Coleford. For more information about the accommodation Forest of Dean Lodges provide please get in touch.